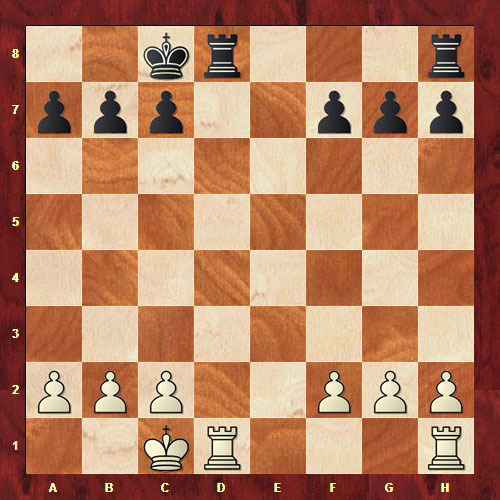 Castling and En passant in chess. Lesson 7. Castling and EN passant. Two more chess rules will be introduced in this lesson. They were intentionally separated under one topic, because they are not always immediately remembered by novice chess players. It was already indicated before that king is the most important piece on the chessboard, and, therefore constant protection is required for it. Usually at the beginning of the game main fight is tied in the center, exactly where the king is placed. 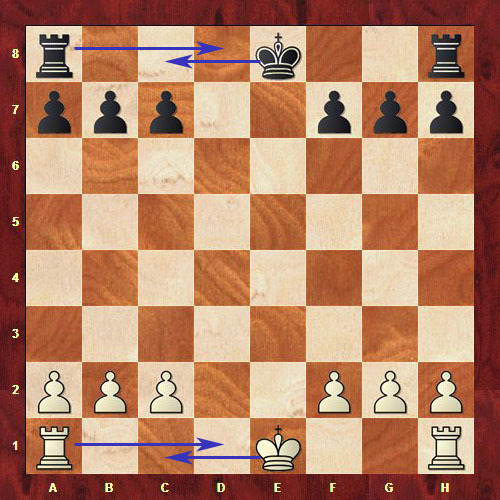 Therefore the question arises, where to hide it from the potential attack of the opponent's pieces. The answer is to castle! Castling consists of moving the king two squares towards the rook right or left, then placing the rook on the other side adjacent to it. Whites and blacks are able to castle. Castling can be short and long. The short one is made in the direction of king side and the long one is made in the queen side direction. Visually how castling can be made by the whites and blacks is shown below. Thus king will be well protected and its security can be less cared. The king and rook involved in castling must not have previously moved. The king may not currently be in check. That means, if you are in check you are not able to castle at this point. The king may not pass through or end up in square that is under attack by the enemy piece. 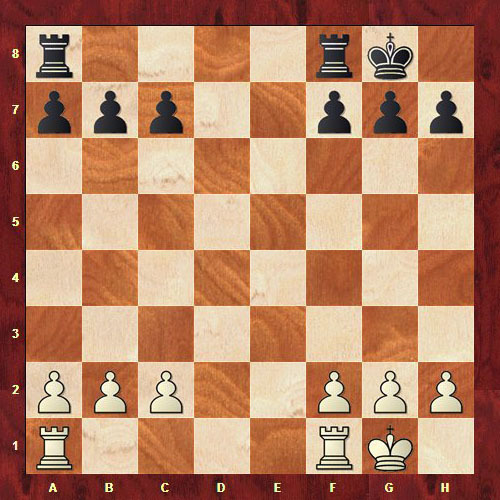 Castling constitutes the only move, although two pieces are involved. Castling can be made only once per game. 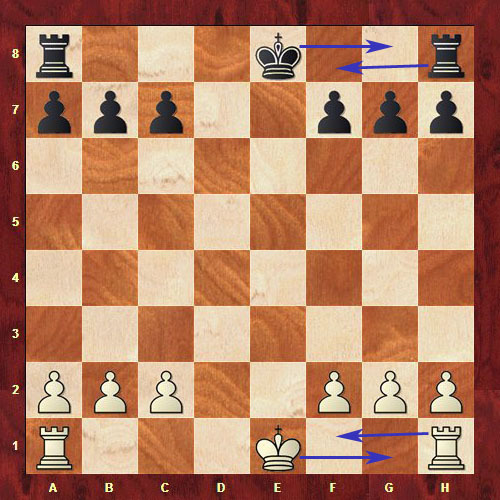 En passant is a move when pawn is able to capture opponent's pawn, if it advances two squares from its original square and ends the turn adjacent to pawn of opponent on the same rank. As you remember, from the lesson 3 in its first move pawn is able to move two squares forward, that means to advance one square. 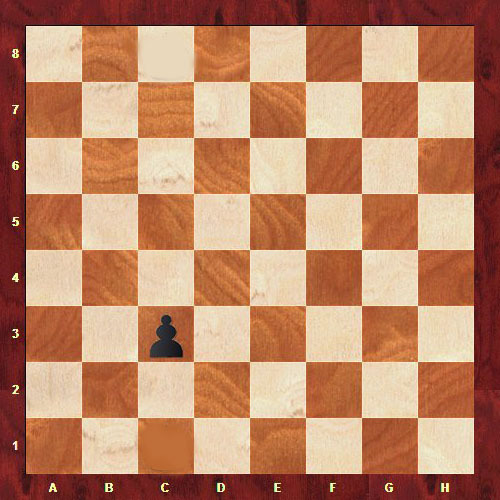 If this square is exposed by the opponent’s pawn than it is able to capture it. 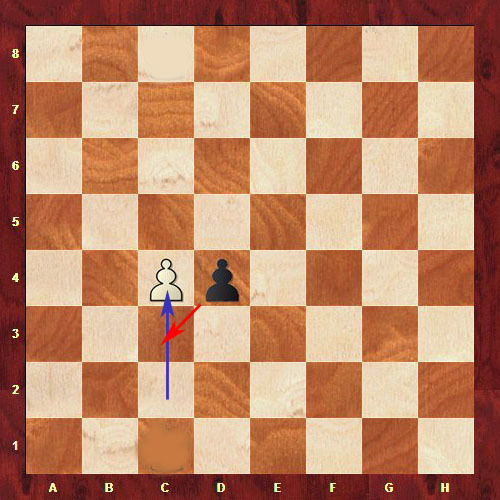 Thus, black pawn captured the white one and moved to the square exposed but not to the square where the white pawn used to stay, as is the case of ordinary attacks. It is possible to perform EN passant only in the next move, otherwise later that right is lost. This rule is not always easily perceived from the first time. Read it again:). When I used to learn how to play, I was able to realize it only from the second attempt. In the following Lesson we will repeat concepts of "check" and "checkmate» and we will discuss possible results of the chess game.